PopCap may have received staff cuts for months without the industry catching on. According to the rumor mill, it isn't just OnLive suffering a series of layoffs. 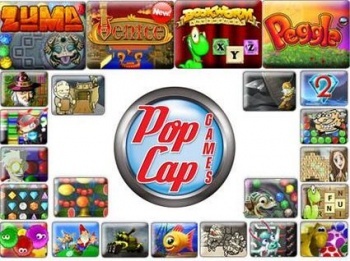 Duke Nukem creator George Broussard took to Twitter yesterday to state that the popular casual developer PopCap, currently owned by Electronic Arts, would undergo a similar shakeup in the immediate future, stating that "layoffs are imminent at PopCap". Following his comments, a source "familiar with the matter" told VG24/7 that the issue goes much deeper; PopCap may have already begun its restructuring process, even going so far as to quietly let staff members go over the past several months. It's important to note that this is still in the rumor stage. After all, the implication that layoffs have been occuring for months when OnLive's secret couldn't be kept for a single day is mindboggling. It was also just yesterday that PopCap's Plants vs. Zombies 2 was announced, a follow-up to PopCap's lucrative smash hit. EA was even considered to be taking a hands-off approach when it came to the popular casual developer. That said, PopCap certainly wouldn't be the first team to face immense difficulties behind the scenes, so the issue may warrant further investigation. As expected, EA representatives have stated that the company will not comment on rumors and speculation, although if the rumor continues any further, an official statement could follow regardless.